For anyone who has ever been curious about what and why do we practice the strange rituals that we do in Hinduism, or anyone who has ever wondered why our mythology gives detailed description of vimanas/ airplanes and nuclear bombs when according to modern science humans were hunters and gatherers at the time when these technologies were supposedly used, please read on. I would like to share with you, the information gathered or rather revealed over the past one year. There is a missing page in the book of recorded human history that modern sciences have not woken up to as yet. According to History as it stands today, humans were hunters and gatherers and nomads and then all of a sudden two great civilizations i.e. Indus Valley and Egyptian civilization, came into existence whose origins are still a mystery to all historians, this evolution from hunters and gatherers to all of a sudden developing great civilizations with advanced technology and skills is the page that is missing from present day recorded history. This page lies hundreds of feet underwater across various places around the globe and was discovered in 2002. 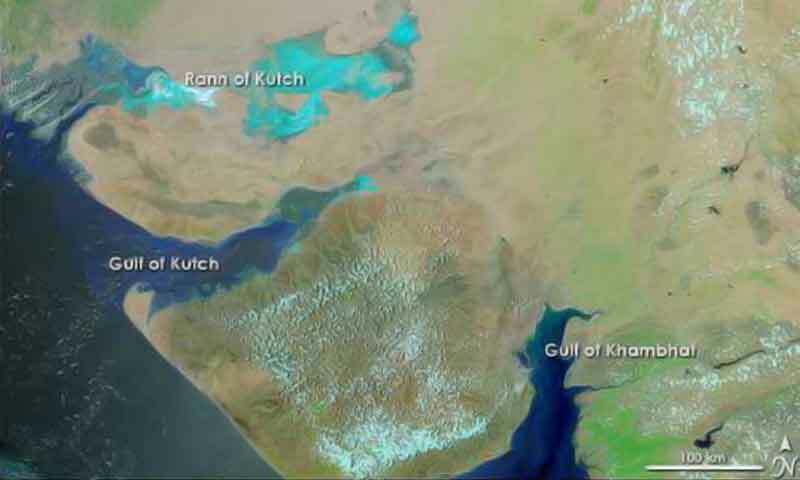 In 2002 Indian oceanographers discovered two cities, the size of Manhattan, off the Gulf of Khambat, lying 100 ft. under water (these cities are different from the much discussed discovery of city of Dwarka) ( Marine Archeology in the Gulf of Khambat ). The most interesting part of this discovery is that the only time this land, where the cities have been discovered, was above the see was before the last Ice Age (Watch the Video) please see this link Graham Hancock famous British researcher visits the underwater sites). Now if we go by the description of modern history as it stands today, then during the last ice age humans were merely hunters and gatherers and could not have built any cities, specially not two cities, the size of Manhattan. 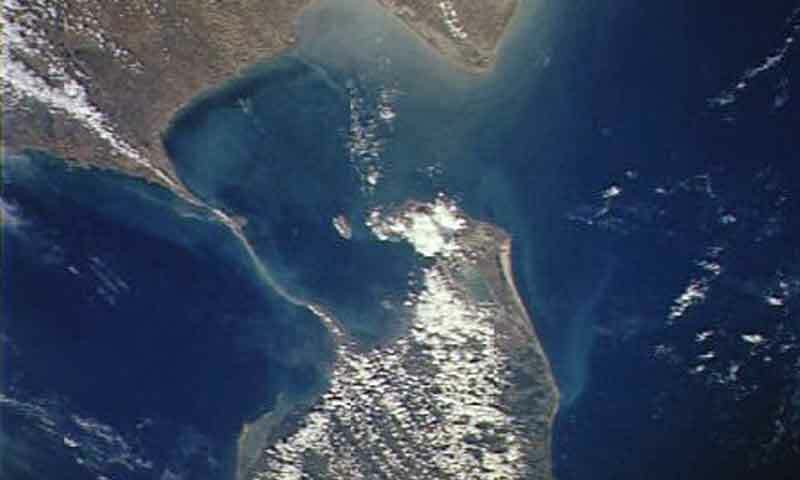 The significance of this discovery is manifold for Hindu mythology and as well as for world mythology, because all across the world there are thousands of flood myths like Noah’s Arch and the myth of Manu, that describe how great floods had taken place on earth and thereafter, the survivors of the floods struggled to re-establish human race on earth. The discovery of these cities underwater are a proof of the fact that the stories are indeed true and there was a civilization before the present day civilization which had the advanced technologies described in the mythology and repeated over and over again in every Hindu house hold. Unfortunately, these cities were found underwater in 2002 and soon thereafter, the government in power changed and no work has been done on this discovery ever since. This is also what is called the Yuga cycle in Hinduism, yugas are actually ice-ages, according to Hindu mythology there are “four yugas” i.e. four times when the human civilization will develop, spread and again go down in floods of the ice ages and the surviving humans will have to start civilization all over again. According to Egyptian mythology there are “five suns” i.e. five times the sun will hide for the longest time after the cataclysmic events of the floods after the ice ages and human race will again have to start all over again and build a new civilization from the scratch. Why this information is relevant to us today is because we can again today see the effect of pollution on the glaciers and the melting of the ice caps of the world. We need to understand our mythology and take a lesson from it and avoid total collapse of the human civilization due to natural disasters as has already happened in 3 yugas before. It has happened to humans earlier and it can happen now unless we change our ways and respect nature. Now, this is the point where the invaluable knowledge passed down to us in our scriptures and yet again forgotten/dismissed by us in the light of modern sciences comes into play. Hinduism divided powers into two parts called “Adhyatmic shaktiyan” (Spiritual Powers/good powers) and “Mayavi Shaktiyan” (Powers derived from Maya or bad powers, powers used by the asuras). Now, what is the difference between the two powers? And why have they been segregated into good and bad powers? The names are self explanatory if we contemplate upon then, mayavi powers are the powers derived from Maya, what is Maya ? Maya is everything around us, whereas AdhyATMIC Powers are the powers derived from the “Atma”. Now present day science has not yet built as time machine, yet there is no denying the fact that almost every person walking down the road has at some point in their lives had dreams about some event that is going to happen in their future or powers like remote viewing or telepathy are prevalent because these are adhyatmic powers or the powers derived from the Atma itself. The Ancient Hindu civilization had developed these powers to such an extent that they could compete with all the powers that one can derive from exploiting the natural resources. The Siddhis mentioned in our scriptures or as mentioned in the Hanuman Chalisa “Asht Siddhi nau nidhi ke data, as var deen janki mata” are referring to these spiritual powers. Everything that can be done by exploiting the natural resources and more can be done by the powers of Atma and this is the information and the knowledge/science that Hinduism carries within itself today and is the most critical information that can help save this planet from another cycles of natural cataclysm. Why Mayavi powers were considered bad by the previous civilization is quite obvious if we have a look around us today and see what the exploitation of resources has done to the planet. While Ramayana and Mahabharata are stories about the Gods, the rest of our ancient scriptures like Shastras, Vedas and Puranas contain the treasure of Ancient knowledge of these Adhyatmic powers passed down to us not just by the previous civilization but by three previous civilizations/yugas. Hinduism carries within it the knowledge database of entire humanity from the day humanity starting gathering knowledge in the Sat Yuga. Sound : Hinduism believes that the force holding the entire universe together is sound and that is why in we recite mantras to tap in the forces of the universe. Om : Om is the sound that was created at the time of the Big Bang. An event like the big bang is bound to create sound and this sound of the origin of the universe has even been captured by NASA in a recording and is a resonating sound that is spread across the universe. Was Bhakti Movement Anti Women?